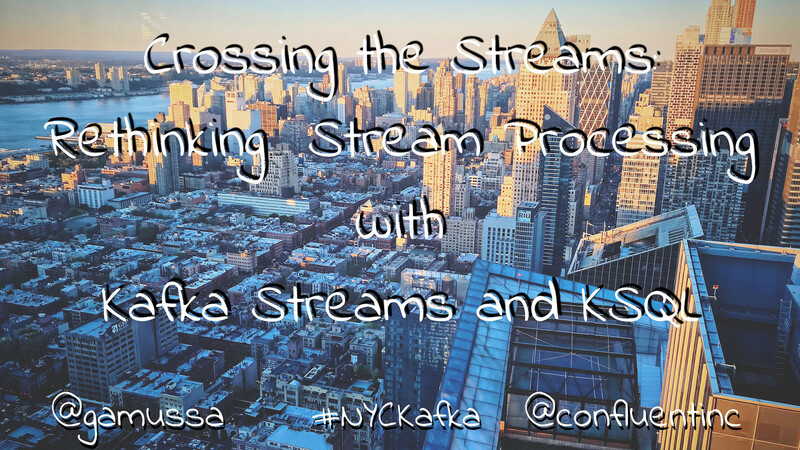 View Crossing the Streams: Rethinking Stream Processing with KStreams and KSQL. Viktor Gamov will introduce Kafka Streams and KSQL—an important recent addition to the Confluent platform that lets you build sophisticated stream processing systems with little to no code at all! He will talk about how to deploy stream processing applications and look at the actual working code that will bring your thinking about streaming data systems from the ancient history of batch processing into the current era of streaming data! @gAmUssA I am so sad that I missed this!